The value of collaborations for restaurants - my top 3 tips. 7 ways to better manage your time. Advice for entrepreneurs & other busy people! "Focus on one thing at once" and other bad advice. 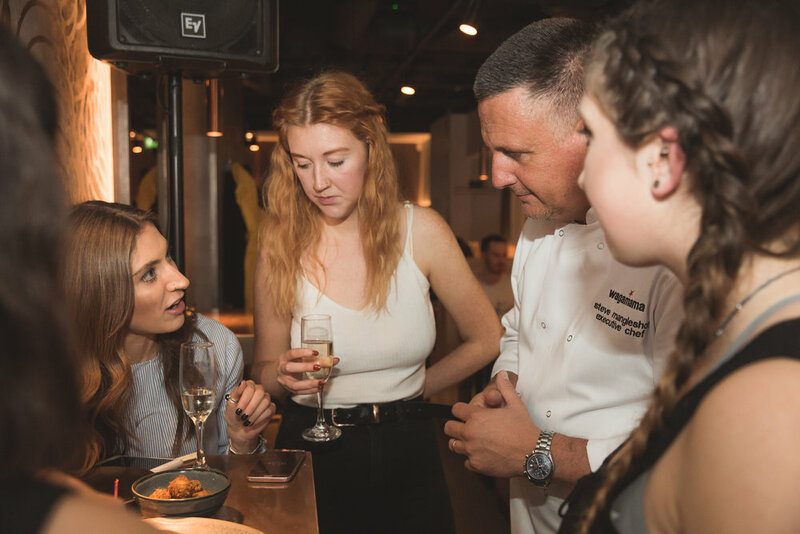 It was a pleasure to work with Wagamama UK this week on curating an event experience to celebrate the launch of their new vegan menu. After being invited to sample the menu last month, we discussed how to further promote the new offering and showcase the many facets i had been unaware of, but was sure other plant-based food enthusiasts would be interested to know. After learning just how much time & energy had been put into creating the new menu, from the ingredients to eliminating cross-contamination, i felt an opportunity to celebrate it would be appropriate, and who doesn't enjoy an excuse for a social event! 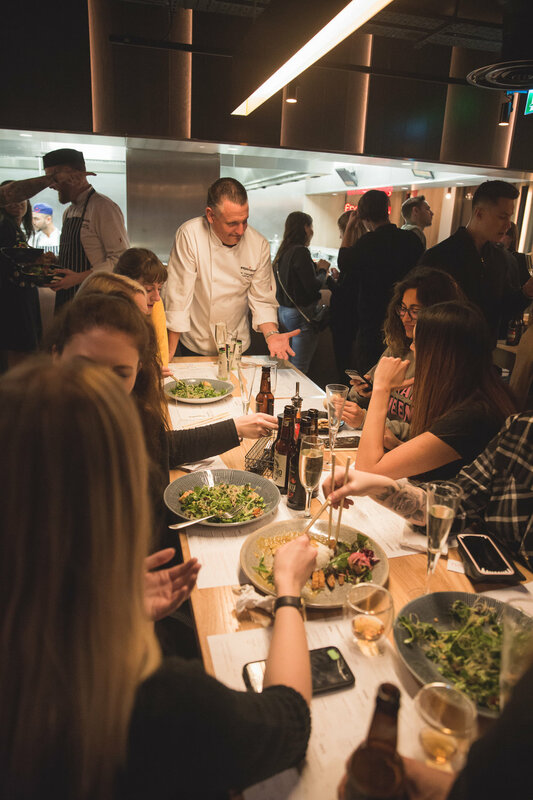 We invited a diverse list of bloggers, influencers and businesses to attend a private launch event in Wagamama's noodle lab, a test kitchen concept on Soho's Dean Street on Tuesday evening. Here, new dishes adorn the menu on a temporary basis during the testing pahse, in addition to Wagamama's traditional offering. The menu on this night, however, was a huge assortment of all the delicious new starters, mains and desserts that make up the company's first exclusively vegan menu. From 6pm, guests arrived early and a steady stream of dishes were served sharing style. The mixed vegetable tempura and bao buns were particularly well received, but the "Vegatsu" (a vegan take on Wagamama's signature katsu curry) stole the show. Served with a sticky white rice and japanese side salad, the crispy, breadcumb-sietan is coated in a veganised, thick katsu sauce. More than one person ate more than one! 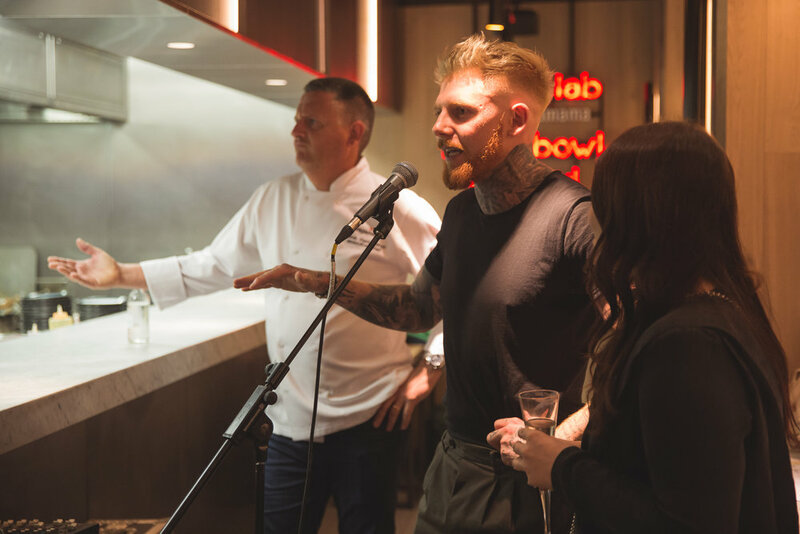 During a short break, it was my pleasure to introduce Jas, one of Wagamama's marketing team, who explained how Wagamama has actively sought extensive feedback and intently listened to the vegan community on what would make this menu special. Executive chef Steve Mangleshot said: 'We've taken the time to make this menu as exciting as we can. We haven't just taken ingredients out and called it vegan, we've created dishes with vegans in mind and will continue to do so." 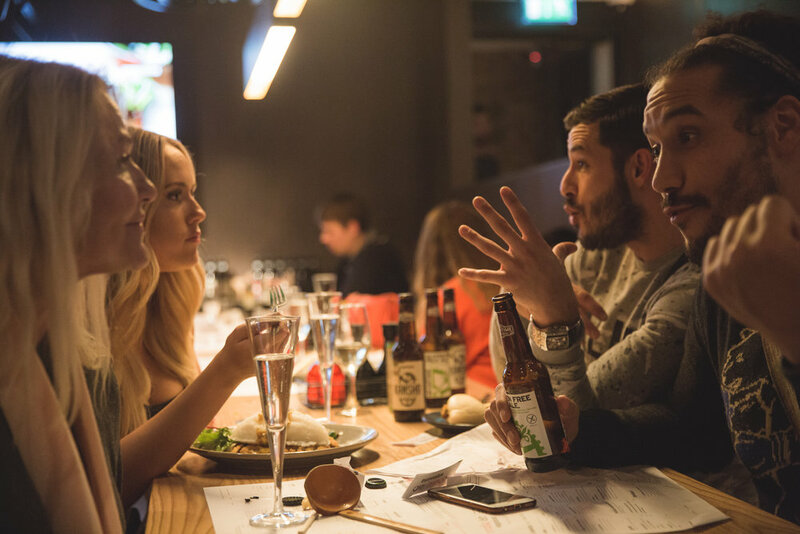 Steve and the entire Wagamama team were mixing in with guests all night, answering questions and listening to feedback. It was amazing to see a large company paying such intricate attention to the needs of its customers and truly caring about their experience. The many comments from guests, who stayed well past the proposed 9pm close time, were just how impressed they were with both the food and the story behind it. It was an excellent networking experience, with so many influential and inspiring people in one room representing the changing face of veganism with guests from many of the UK's leading vegan companies, charities and media companies. I believe its important to support big companies taking an interest in veganism. Im aware of many who feel its hypocritical, but if we all truly share the mission of creating a world free from animal products, we must understand that such companies have substantial influence and infrastructure to help propel such a message. The more accessible we make veganism, and the greater the uptake and we move toward the tipping point. Tiffany Watson (Made In Chelsea) joins the party. Guests left with goodie bags from sponsors Plant Curious, Seedslip drinks and meantime drinks. Special mention to guests Tiffany Watson, Sarah-Jane Crawford and the teams from Plant Based News and Vevolution for their support. Look out for the latest vegan menu, available nationwide now, and more new dishes added soon!